You know what I love? I love when people post how glamorous they look at the airport (or traveling using any means of transportation). I mean, come on, really? You look that good and composed when you travel? Why are you wearing heels to go on a six hour flight? I have to admit, I've tried to look all dolled up while walking through Penn Station and by my second step in there I'm sweating and cursing that I didn't wear something more comfortable. Here's my solution people... be practical and ugly. That's really where it's at. I mean, you can't get more simple than a denim blouse, denim cut offs, and Havaianas. The definition of simplicity. This is called the, "Hey check out my awesome backpack picked up at a market in Cusco, Peru" pose. Original, right? The BF's acquiring quite a talent for this photography thing. Or maybe the new lens plus automatic focus is finally working. Either way, SCORE. P.S. How do we feel about this newish layout (the changes are very minimal). No more black border, fewer pics and more words interspersed throughout... thoughts? denim shirts are AMAZING. haha the name of your bag is so cute, love it! 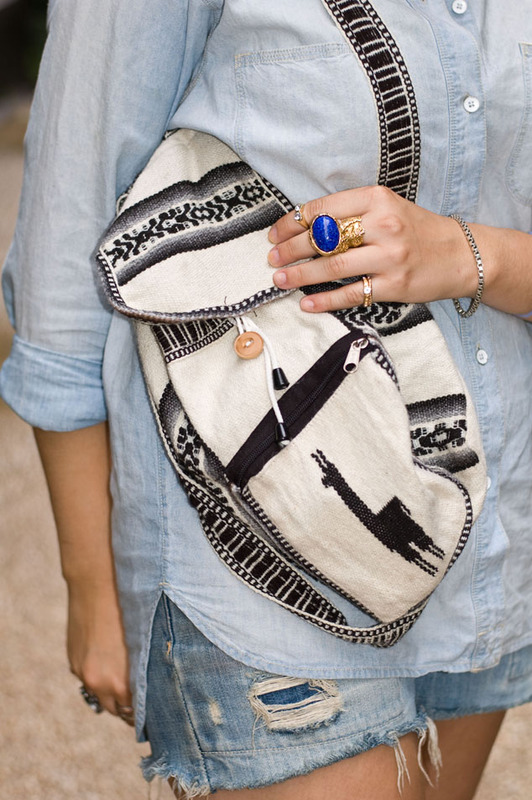 O so agree traveling clothes should be comfy, love your denim on denim look, have fun! I find it difficult to travel in heels too. I make sure to wear comfy clothes especially on airplanes. love your purse and ring!!! 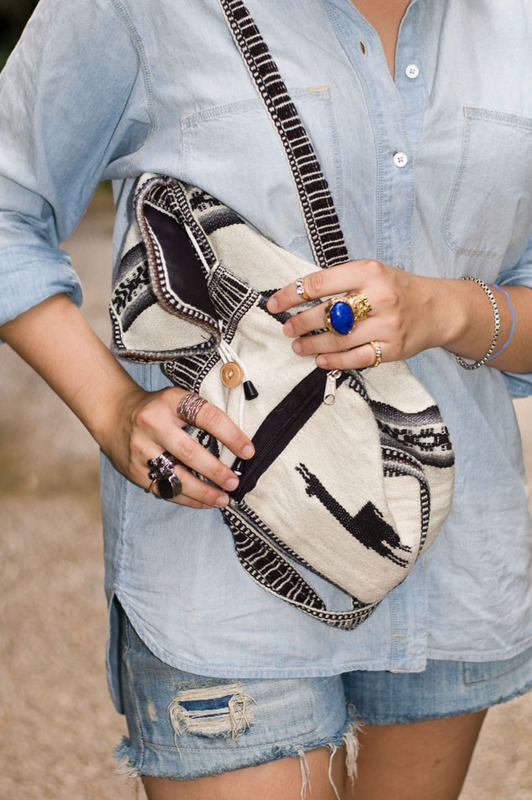 Loving the denim on denim and the aztec print of your bag!